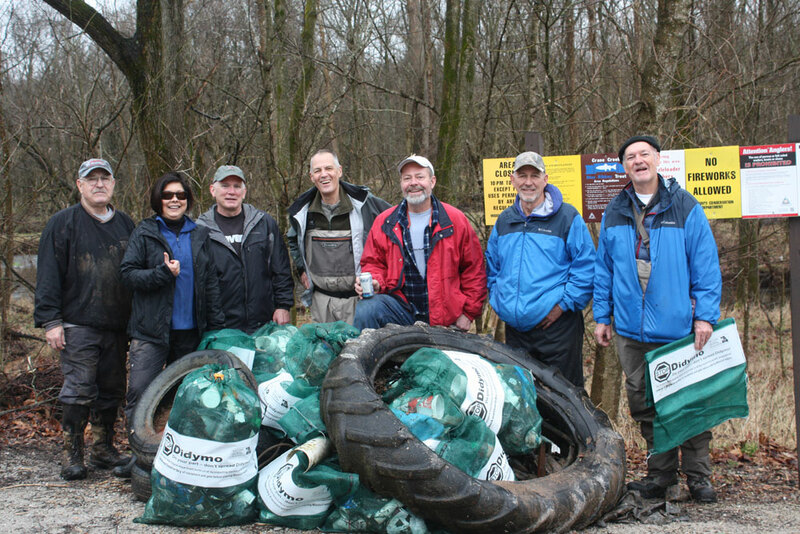 Members of the Southwest Missouri Fly Fishers Association, members of other conservation groups and others from Crane participated in a clean up of Crane Creek on Saturday, February 23. Around 30 people came out to help pick up trash and keep it from flowing into the creek. 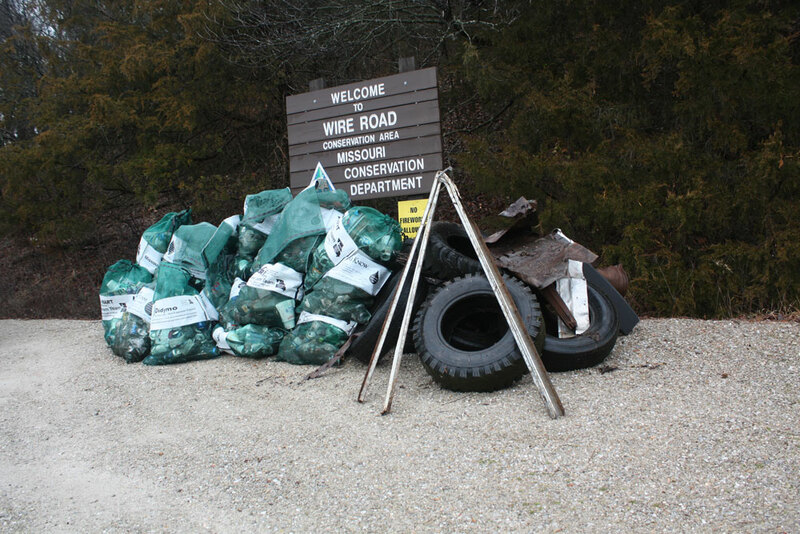 Around 30 people came out on Saturday morning, February 23, to participate in the 29th annual clean up of Crane Creek by the Southwest Missouri Fly Fishers (SWMFF) association. The assembled group included members of that organization, other stream cleanup groups from the area, and several individuals from Crane, including members of city leadership. 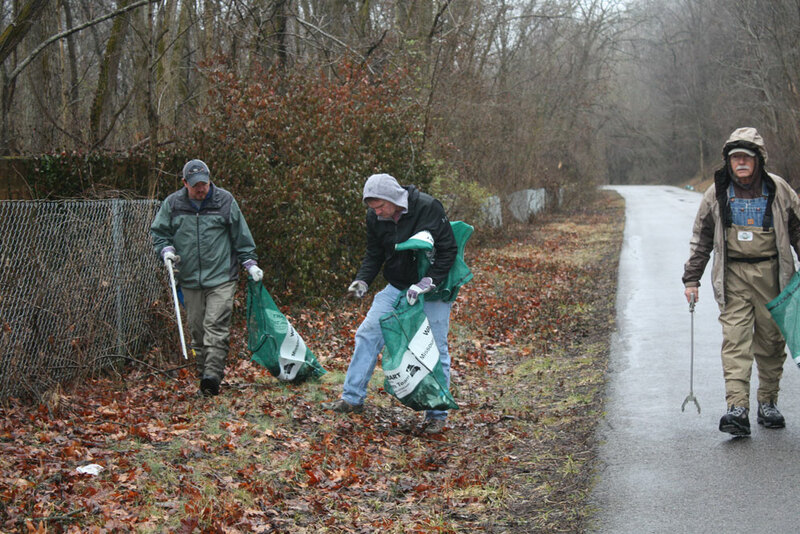 The volunteers focused on three specific areas that SWMFF has identified as particularly vulnerable to trash flowing into the creek during rain. These locations are along Old Wire Road, Roundhouse Road and Swinging Bridge Road. These three areas, said Paul Goodwin, conservation liaison with the group, typically have lots of trash, and when it rains, that garbage flows into the creek, endangering the trout and other wildlife. Over the course of three hours, the volunteers picked up several truckloads of garbage from those areas, including several tires and other refuse. The trash pile pictured above came only from Roundhouse and Old Wire Roads. A tractor tire was pulled out of the creek near Swinging Bridge Road. The Conservation Department takes care of trash disposal after clean up events. 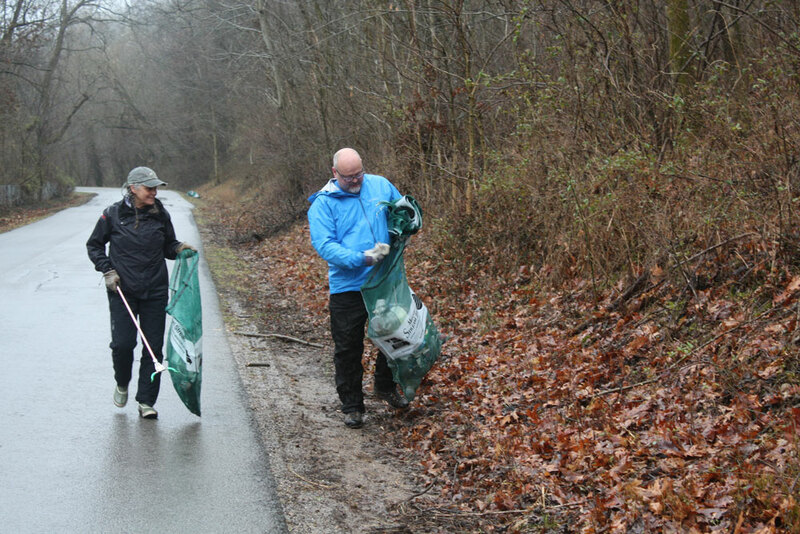 These volunteers picked up this trash along Swinging Bridge Road, just south of Crane. This trash heap would grow even larger by the end of the morning.